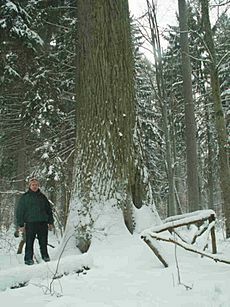 Białowieża Forest is an ancient woodland. It is on the border between Poland and Belarus. 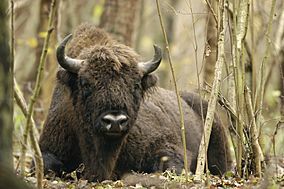 It is 70 km (43 mi) north of Brest (Belarus) and 62 km (39 mi) southeast of Białystok (Poland). 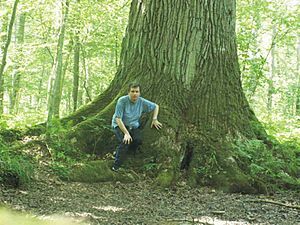 It is one of the last and largest remaining parts of the large primeval forest that once went across the European Plain. 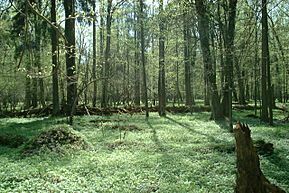 Białowieża Forest Facts for Kids. Kiddle Encyclopedia.